One of the early calls Andrew Gillum expects to make should he become Gov.-Elect Andrew Gillum Tuesday might surprise people. "I plan on calling Jeb Bush," Gillum told the Buzz, suggesting the ex-governor could offer valuable insight on navigating the job. "Even though I disagreed with him on a lot of policies — I mean I marched against him when I was a student at FAMU — I never once doubted that that Gov. Bush loved this state and was trying to move Florida in a way that he sincerely though was in the best interests of Floridians. I found him responsive, I found him in a lot of ways open — not always, but I did find a level of openness and transparency and fidelity to Florida." How a Gov. DeSantis would plug himself into governing is not so hard to imagine, given the vast number of Republican veterans of state government around today. It would be much more difficult for a Democrat because the party has been on the sidelines for two decades. DeSantis is a loner without much of an inner-circle beyond campaign manager Brad Herold, former executive director of the Florida GOP, who has been with him for several campaigns. Close advisers who emerged more recently include U.S. Rep. Matt Gaetz, and lobbyist Susie Wiles, who also ran President Trump's Florida campaign in 2016 and joined DeSantis' campaign as a senior adviser after the general election started. No lobbying shop is better connected to DeSantis than Ballard Partners. President Brian Ballard is his top money-raiser, and Managing Partner Wiles is helping lead the campaign. No one is closer to Tallahassee Mayor Andrew Gillum than Sharon Letterman-Hicks, a Tallahassee-based communications consultant and lobbyist Sean Pittman. He also relies on former Tallahassee City Commissioner Allan Katz, a former ambassador to Portugal, a well as top campaign advisers including Kevin Cate, Brandon Davis, and Scott Arceneaux. Gillum said he intends to rely heavily on local government leaders, saying mayors are the best advisers anyone can have because they are focused on getting things done. Gillum mentioned, by name, Orlando Mayor Buddy Dyer, St. Petersburg Mayor Rick Kriseman, Tampa Mayor Bob Buckhorn and Miami Mayor Francis X. Suarez, as possibilities who could be "part of our leadership." (When asked, neither Kriseman nor Buckhorn closed the door entirely on working in a Gillum administration). He said he also would tap into the expertise of assorted policy foundations, citing the United Way of Florida's examination of how many working families are struggling to make ends meet in Florida. He has an extensive national network of policy experts to tap as well, and he told the Buzz he thinks he could work cooperatively with a Republican-led Legislature on a number of important issues such as criminal justice reform and vocational education. 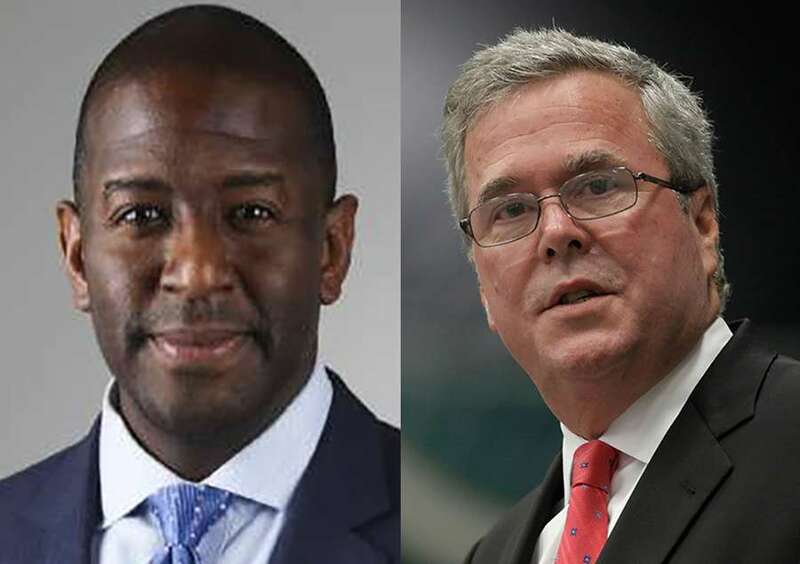 He already has a relationship with incoming Florida House Speaker Jose Oliva, who was a 2015 Aspen Institute fellow with Gillum, along with Jeb Bush's son, George P. Bush. "I do believe we could have a sensible conversation about how we can get things done," Gillum said, mentioning criminal justice reform. "Jose's probably more of a libertarian than anything, and I think that makes him a little bit open to some ideas for what might save the state money."